Me: Dave, in your book, you compare connected companies to cities. Who do you think should decide who gets to be the top manager of a connected company (like the mayor of a city)? Shareholders? Employees? Do you see democracy having a role here? Dave: Great question. Other than customers, the three groups that have the greatest stake in a company’s success are shareholders, management and workers. The ideal would be that the interests of all three of these groups could be aligned and that all three would act and be rewarded as if they owned the business. The most obvious way to achieve this would be to design companies so that all stakeholders do have ownership. If that’s the case then democracy certainly does have a role. This is the idea behind cooperatives and employee stock ownership programs. I don’t think there is one right answer to this question. What’s important is that top management is trusted and supported by all three groups. Whoever the top manager is, they will fail in the long run if they don’t have the support of owners, workers and other customers. Me: It is said networks are effective and hierarchies are efficient. What if a network-oriented connected company wants to do the same thing a million times in an efficient way? (Offering a specific service or product repeatedly and cheap.) Should a hierarchy always exist alongside the network? Or do you see networks give rise to hierarchies? Or is there another way? Dave: I think that both networks and hierarchies are important. If a network-oriented company wants to do the same things efficiently and at scale, that is something they should automate if possible, and if it can’t be automated it should probably be managed as efficiently as possible, which means a hierarchy. One way that companies do this is by organizing different parts of the company in different ways. Amazon, for example, organizes its software development teams into networks because they need to be fast, adaptive and flexible. But they organize their warehousing and distribution organization as a hierarchy because it is a far more efficient way to organize logistical operations. Me: People often ask how they can start changing the culture of their organization as a mere “low-ranking” employee. What is the easiest first step that you’ve witnessed that can work, and that could work for many other people too? Thanks Dave for the great answers! 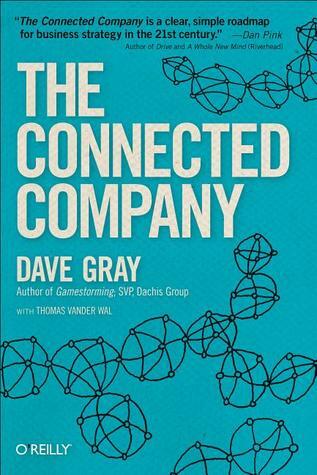 If you haven’t already, make sure to read The Connected Company. You won’t regret it.